The Royole FlexPai is the world's first commercially available smartphone with a flexible display. It's part of the company's Flexible+ platform which can be integrated with a variety of products. Will you own one of the 50 million foldable-display smartphones by 2025? Before a major manufacturer has even released a device, a critical industry source says foldable display devices will sell. These features may seem like science fiction now, but they could become a reality somewhere down the line. Fingers crossed! Leading up to Samsung's rumored announcement of a foldable phone, Android gains support for foldable displays. 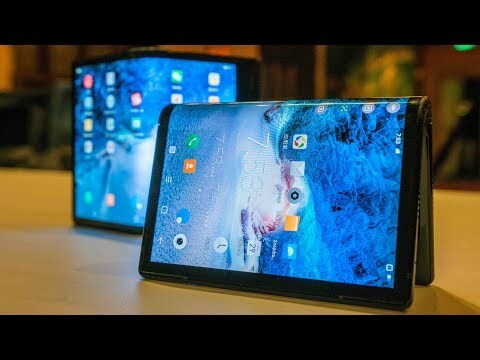 Founded by Stanford engineering graduates in 2012, the Royole Corporation has created many innovative technologies, including the world's thinnest full-color AMOLED flexible displays and more recently the first commercial foldable smartphone with a fully flexible display, the Royole FlexPai.